Social media management apps can make logging in to individual social networks to view and post content a thing of the past. But choosing the right app for you or your organization is more complex than clicking the “like” button. We have assembled a list of six social media management tools that showcase a variety of features, some of which may benefit your organization. Take a look, and then tell us what you like, what’s missing, and what is worth the price tag (if any). 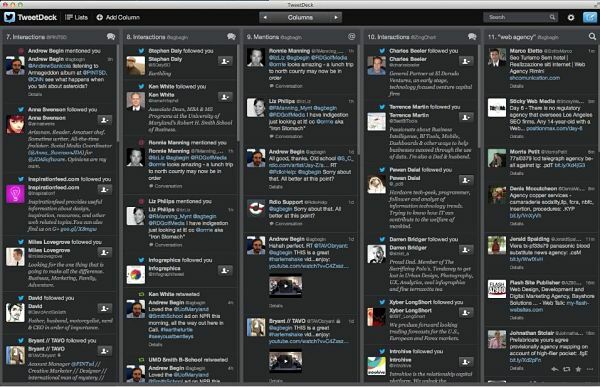 Overview: Tweetdeck’s interface has customizable columns that let you view updates, direct messages, and comments from Facebook and Twitter all on one screen. You can also compose and schedule messages for these platforms within the application. Limitations: Tweetdeck recently reduced the number of platforms it works with, and now only supports Facebook and Twitter. It does not provide analytics data. A good choice for: Tweet-aholics. Personal users. Overview: This product seems to cover all the bases. Hootsuite works with eight social networks and has apps for adding content from dozens of other platforms, including international ones. It brings together analytics from five major platforms and lets you export the data to use how you please. Collaboration tools allow teams to work together on social efforts in a few different ways, too. Limitations: The free version is limited to five social profiles and does not support teamwork. A good choice for: The free version will work for individuals and small businesses with a limited number of accounts and contributors. The paid version is better for larger organizations with many dedicated staff and more social decisions to make. Cost: Free for a single user with up to five social profiles, Pro version required for up to five users, Enterprise version required for Google+ analytics and organization management. Overview: BufferApp’s main focus seems to be on sharing content. It has an appealing UI where you can see the posts you have buffered and ready to go. 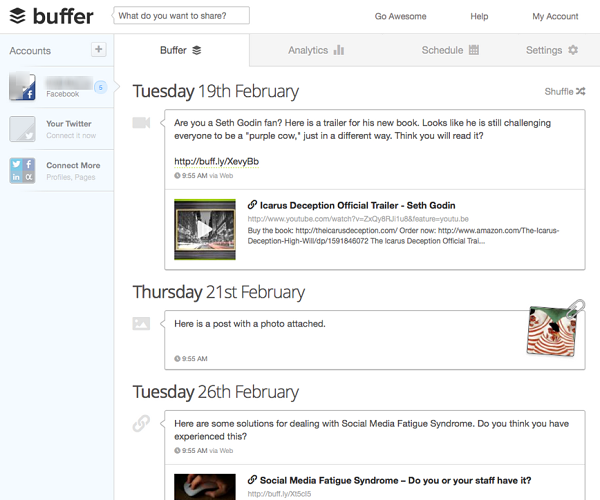 The “Buffer It” browser add-on helps for gathering content, which is posted on a pre-set schedule. If you use an app like SocialBro to determine prime tweeting time for your audience, this makes for little work with optimum results. Limitations: BufferApp’s supported platforms are limited to Facebook, Twitter, and LinkedIn. The free version has scheduling limitations and limits you to a single social profile. A good choice for: Content curators, individuals, and small business owners. Cost: Free for one social profile and one posting schedule, “Awesome Plan” required for up to 12 profiles and two managers. 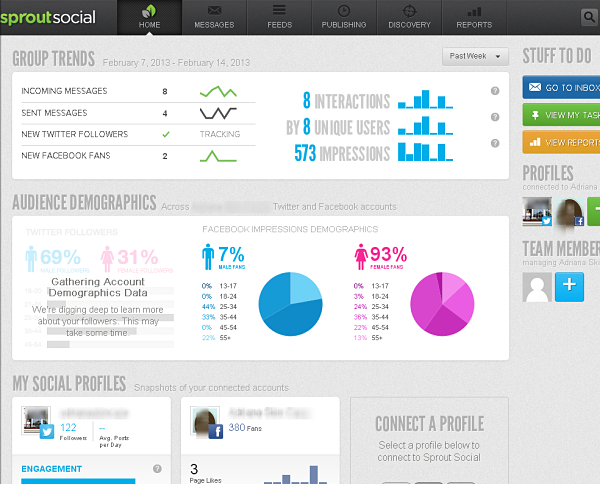 Overview: Crowdbooster brings a different visualization of your social data to the table. The overview screen has bubbles for posts, which are colored and sized differently based on impressions and replies. 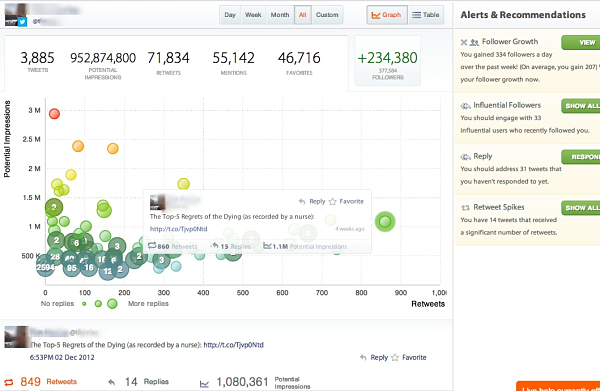 Crowdbooster provides in-depth details on each message you post. It also collects your social data and makes recommendations on the best times to post based on your audience, as well as which followers are helping to spread the word. Limitations: It only tracks Facebook and Twitter, and does not show you a feed of incoming posts for your accounts. A good choice for: Small businesses and larger organizations interested in identifying patterns in their social posts. Cost: Free for one Twitter account and one Facebook page. Upgrades for more accounts and support start at $39 per month. Overview: Sprout Social has infographic-like visuals on the dashboard, content development tools, and scheduling analysis. They have an impressive list of corporate clients. It works with RSS readers and bookmarklets to help generate content. Limitations: Sprout Social is one of the more expensive options for users with only one or two accounts to manage. It also requires that you have a Twitter account to get started. A good choice for: Organizations with a LOT of followers, online marketers who know their KPI’s, social media managers who need to create reports. Cost: Free 30-day trial, plans start at $39 per month. Overview:** True Social Metrics has a plain interface, but it is quick to set up, and tracks data across eight platforms, including your blog. 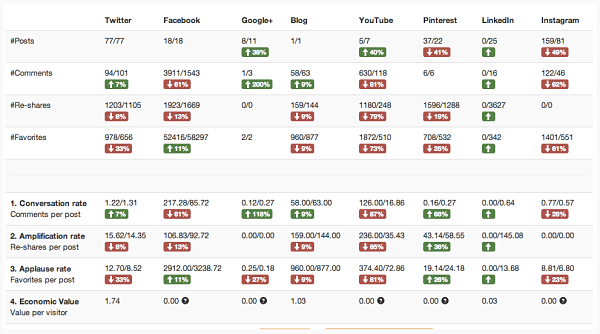 It also integrates Google Analytics conversions. Limitations: True Social Metrics is mostly an analysis tool. But it would work well in conjunction with another app that provides scheduling and feed view features. A good choice for: Individuals and small businesses who just want the numbers. How many staff people will be working on social? You may only want to look into apps that support teamwork or multiple sets of profiles. Do you plan to join more social networks in the future? Getting settled into an app that only supports Facebook and Twitter may be a waste of time. Have you established specific social goals? Some apps may make tracking progress on specific goals easier than others. Are you using Customer Relationship Management or other business software? Some CRMs support plugins for social media management apps. 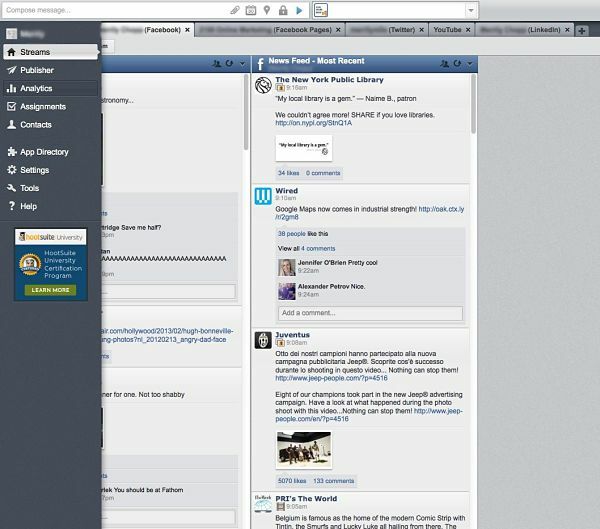 For example, Salesforce has its own social tools, and also works with Sprout Social. And some email marketing services provide various social management add-ons, as well. According to Marketing Strategist Olivier Blanchard, social media is most effective when managed closely by the business. That means social media management tools can be a good way to keep some activities in-house, rather than managed by an outside agency or consultant. Social Networking Guru Clara Shih also recommends social media management tools. In particular, she uses them for monitoring and listening to customers online, in order to improve customer service. If you really want to dive into social media management apps, there are plenty more than what we’ve reviewed here. The PINT team must be really focused on tweeting, because when we asked about which apps they use, they mentioned Flipboard, Plugg.io, and Socialbro in addition to Tweetdeck and the standard Twitter app. These offer some unique features specifically for Twitter, including follower suggestions, follower demographics, and custom content feeds. Despite the many advantages to using a social media management app, it is important to follow some important warnings and never leave your social on auto-pilot. There have been some recent unfortunate examples of mismanagement of social accounts, which we would all like to avoid. Is your social media management tool of choice not on this list? Prefer logging in and doing things the old-fashioned way? Share your preferences with us.